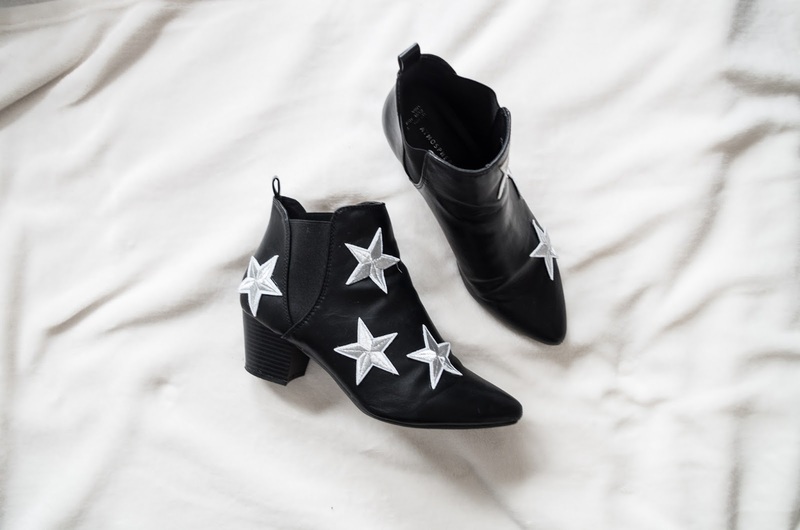 I love anything with stars or suns or moons on it, I think I've always been into that little trio. 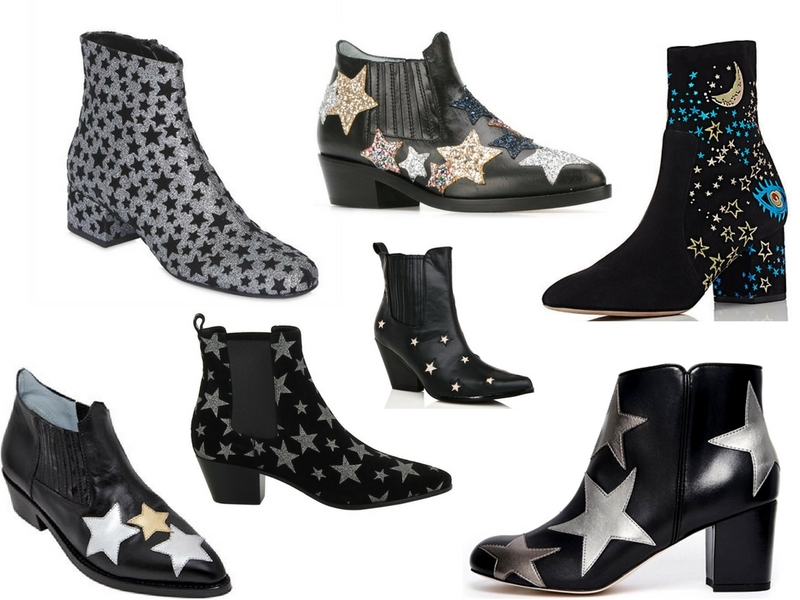 When YSL and Chiara Ferragni and basically everyone started doing the star booties, I was obSESSED. 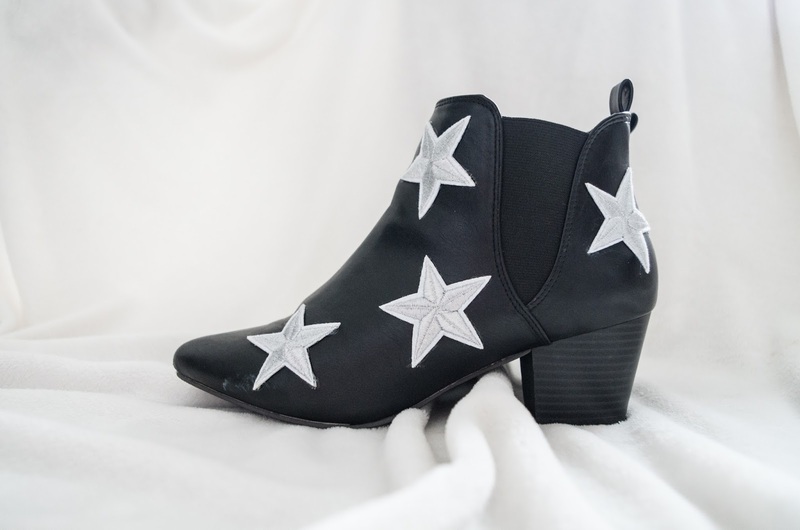 BUT unfortunately my bank account wasn't quite as enamored, so I ended up with zero star boots. 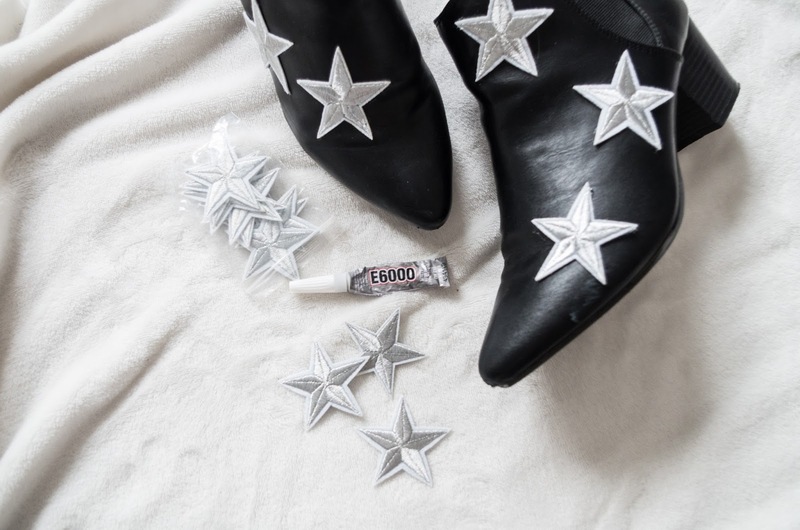 UNTIL I realised - why the heck don't I just make them myself? 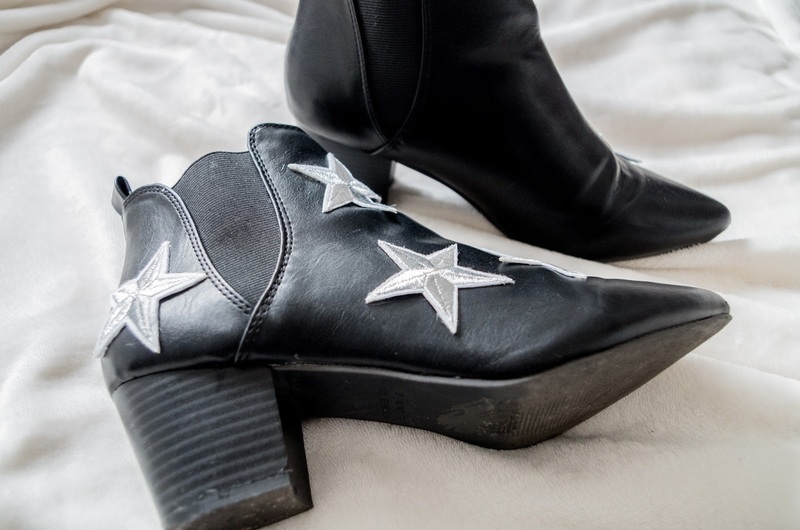 I had these black boots from Primark which I rarely wore (I thought they were boring) and felt bad about the wasted opportunity. 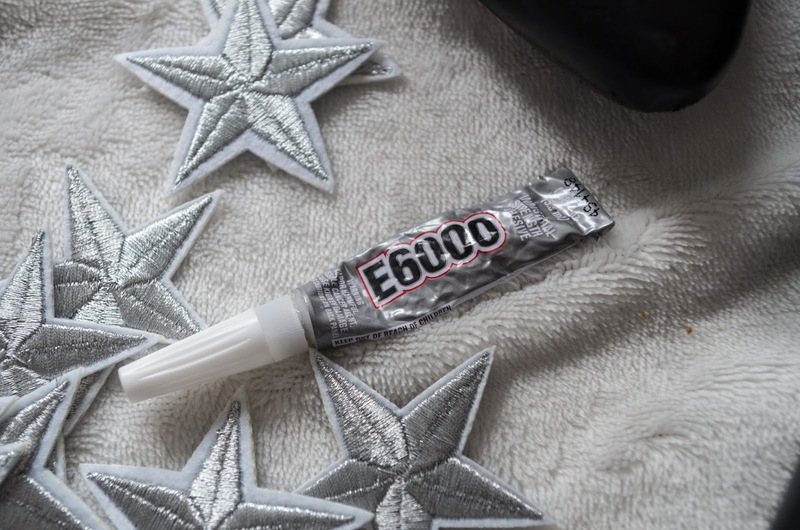 So, I hit up Ebay, bought some cheap as chips applique stars (I think maybe like £2.50 for all) and some E6000 glue, which I bought because it's supposed to dry quite flexibly, which is good as the stars would need a little give. 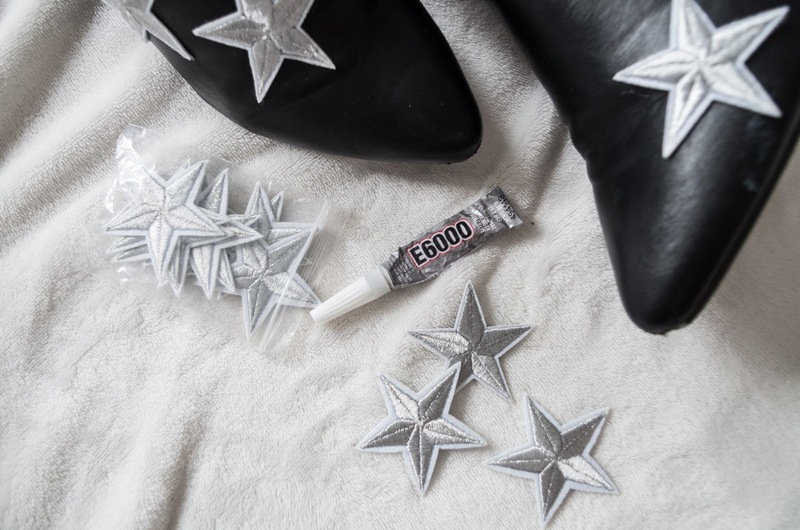 I stuck the stars on with the craft glue first, and then added a little superglue to hold down the points of the stars. And VOILA! 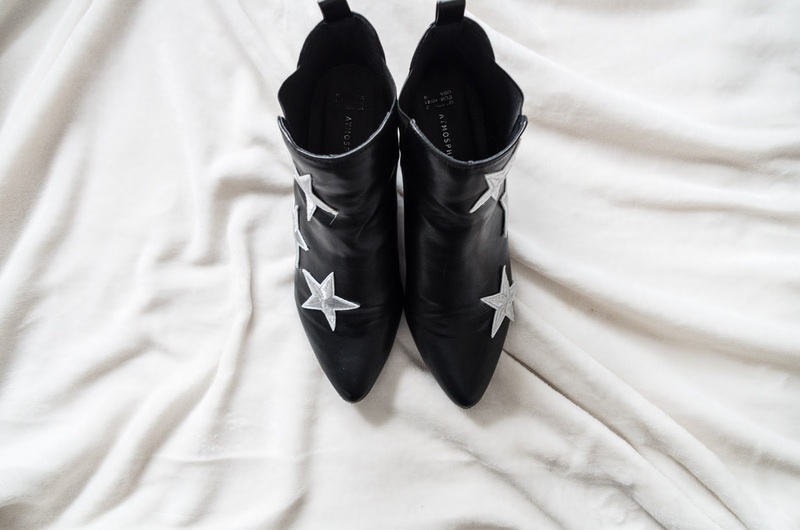 I've worn them only once for a full day so far, and they held up pretty well - keep in mind I walk a solid 20 minutes to the tube station everyday - with just one of the points coming loose. Amazing! 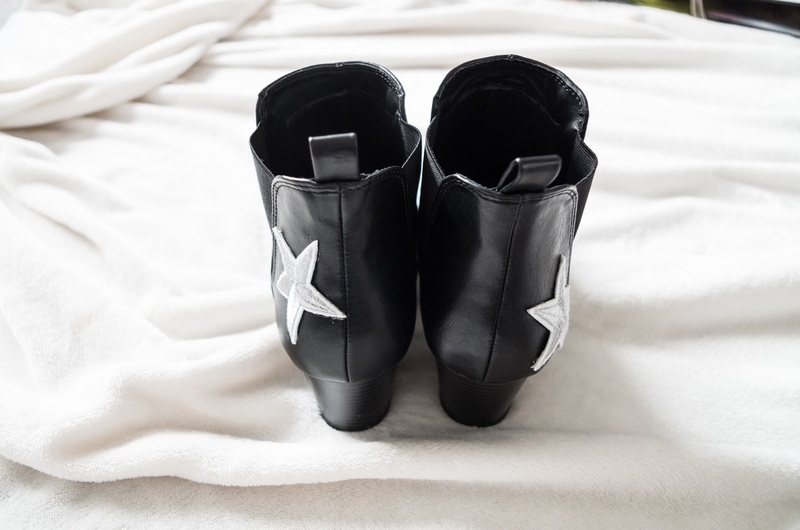 I got my YSL/Chiara Ferragni/ DollsKill star boots for roughly £13. Not baaaaaaad!